Case for a real low-cost iPhone. I think Apple’s decision to slot the iPhone 5C into its existing pricing scheme has to be regarded as a real disappointment. It’s not that the 5C doesn’t look like a good product that people will want to buy. It’s that the 5C was an opportunity to make a much better product—an opportunity Apple took a pass on. What opportunity was that? The opportunity to make a true low-cost iPhone. What would that phone look like? Exactly like the iPhone 5C except much, much cheaper. Way back in September 2012, it was revealed that an iPhone 5 cost Apple $207 to build. The iPhone 5C contains iPhone 5 electronics (which should be cheaper now) and has a plastic shell (which should be cheaper), meaning that Apple could (and should!) have made a genuine low-cost iPhone that sold with no subsidy and no contract for $199, not the $549 they’re asking for right now. Obviously a radically lower price would mean lower profit margins. But a $199 5C would still be an engine for profits. Some people would be upsold to the 32-gig model that would have a higher margin. Some people would buy the case. And you’d be getting people into the Apple ecosystem where they’re buying stuff on iTunes and the App Store and considering high-end phones and such in the future. 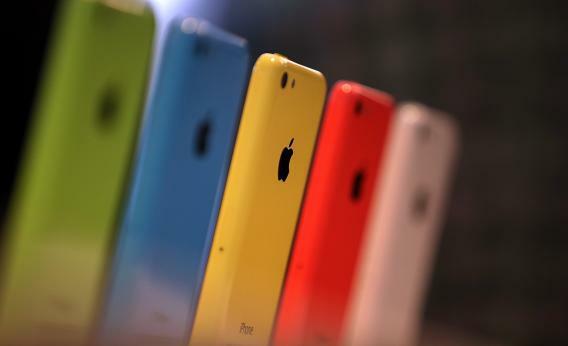 More to the point—at $199 without contract, who wouldn’t buy an iPhone 5C? The seriously poor, of course, but Apple’s not selling to them. And the price-insensitive rich, but Apple has a fantastic mobile phone for them. The big problem Apple is facing right now isn’t so much that its prices are too high as that the technology of smartphones risks becoming too good. “Good enough,” as they say. Once the technology is good enough, high-end integrated producers tend to suffer. Except the perception of a “good enough” smartphone is an illusion. One very important part of the experience—the interaction with the mobile phone operator—remains incredibly crummy. Something the original iPhone got very much right was seizing some power from the carriers and greatly improving that side of the experience. But bludgeoning the carriers into becoming the dumb pipes that they ought to be remains an unfinished revolution. A truly low-cost iPhone is exactly what it would take to finish that revolution. The $199 5C would do great in developing markets where large subsidies are unheard of. But it would also do great in subsidized markets, where it would help unleash relentless competition between carriers for the business of the large and growing army of 5C users. Prices would fall, contract terms would improve, and the overall user experience would get much, much better. The downside, obviously, is that a truly low-cost iPhone might cannibalize profits from existing iPhones. But companies don’t thrive by worrying about cannibalization. Apple in particular has thrived by ignoring this. Making iPods and iTunes available for Windows risked undermining the Mac, but it was the way to build the best possible product. Making the iPhone undermined the iPod, but it was the way to build the best possible product. Making the iPad undermined the MacBook, but it was the way to build the best possible product. A genuinely low-cost iPhone—cheap not because it compromises on quality, but cheap because it compromises on profit margins—is the way to make the best phone in the world and drive the entire ecosystem forward. Apple has more than enough cash on hand and more than enough high-margin products to have the luxury of not worrying too much about the short-term level of profits. Apple should take advantage of that.